Winter is here! Which means, turn on the fireplace, grab the blankets, a hot cup of coffee and cuddle up with your family or friends and relax. In order to make sure you stay away from the snowy drives to your friend’s house; is to make your home, the inviting one. The home where all your friends and family want to come to, to help brighten up their day, and smile. So in order to do so, there are some small things that you can do. Bring in some fake summertime flowers in the colours of white, yellow, orange or reds. By doing so, you’re reminding yourself that the summer is always just around the corner. By choosing warm colours for the flowers, it helps give the feeling of a warmer tone in your eyes and body. Resulting is a cozier feel. Grab a brown or taupe coloured fuzzy blanket. This gives you that warm cozy feel that elimates the feeling of the cold winters and brings in the heat of the summer. Purchase a wall mounted electric fireplace. We all want that beautiful fireplace look in your living room, where the whole family comes together after a long day’s work. Although the most common ones you see in the magazines are inserts. Well yours doesn’t have to be… for now that is. You can purchase a multi-installation fireplace. Some fireplaces will come either ‘Recessed’ or ‘Wall Mounted.’ If you wanted to, you can purchase a wall mounted fireplace for the time being. 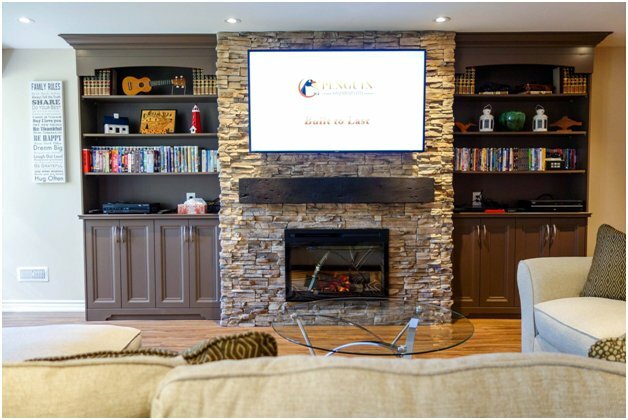 Then when you are ready for some renovations, we can be your contractor to build you a beautiful entertainment unit and recess your new fireplace. Paint your walls. Painting is something that almost anyone can do. We may not all be professionals, but it can range from a fun day with your significant other, attempting to paint the walls. 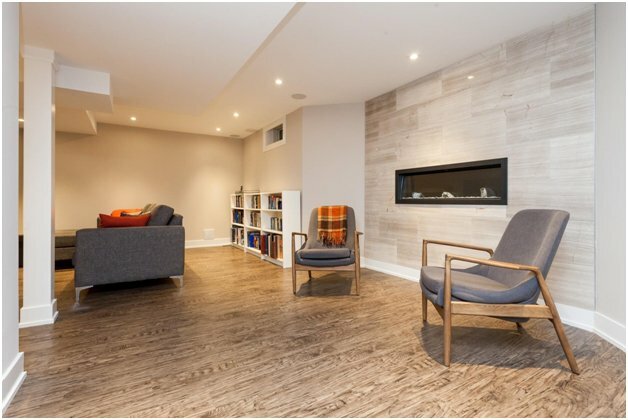 To an afternoon by your new fireplace, while you hired a professional to paint your walls. For these long winter days, go a lighter warmer colour like taupe (for all the grey pallets). This will help brighten up your home a new and more exiting feel.